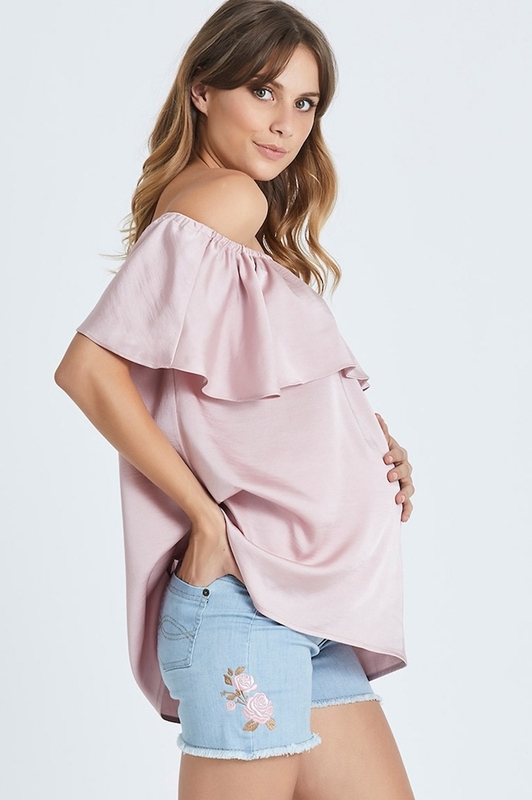 Off the shoulder (and seriously chic) the Erika is a step-up form your average maternity tops. 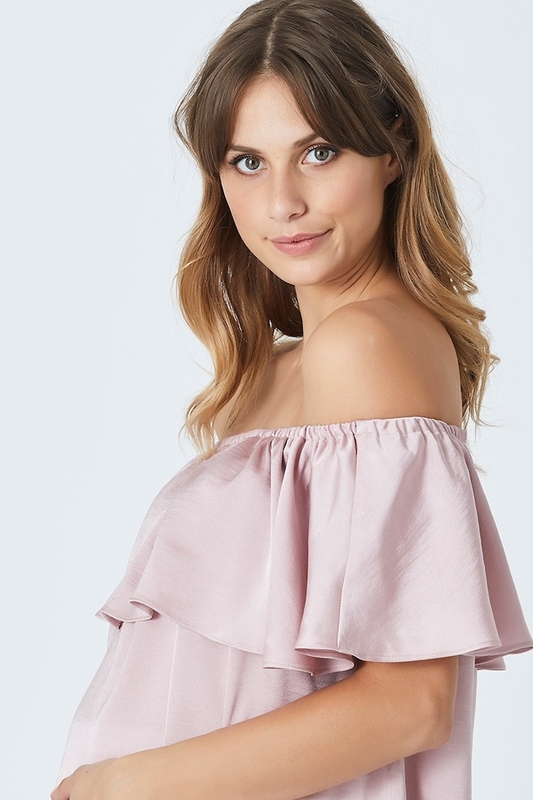 Crafted in a luxurious silk touch fabric, top gathers beautifully over the bust line, draping like a dream over your growing bump. 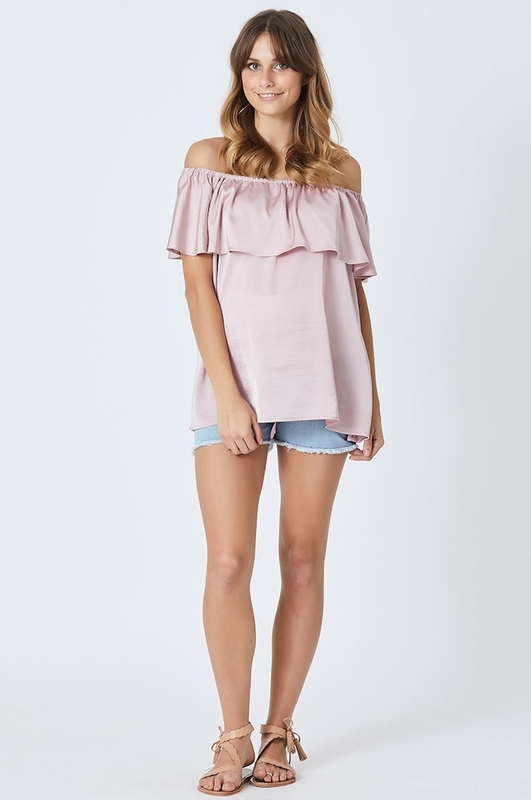 With plenty of room, you can wear this style at any stage, with or without a bump, making it a piece you will have in your wardrobe forever. We love the feminie bodice frill and the scooping high-low hemline to flatter all body shapes. Style yours over denim and tonal printed bottoms for that effortless, yet put together look.